Nigerian Adepoju wows in India singing in Hindi – Royal Times of Nigeria. 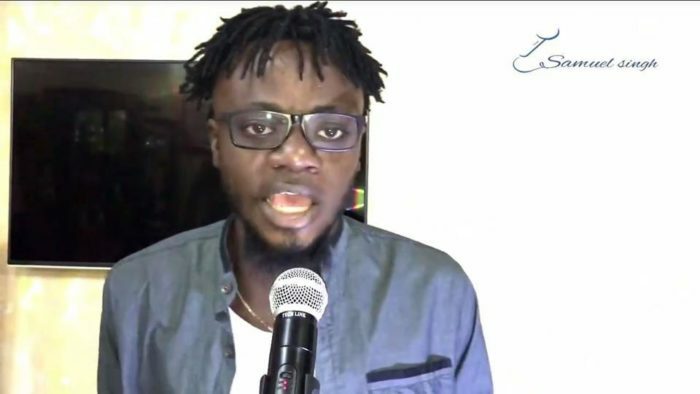 A 26 year-old Nigerian, Samuel Adepoju, has turned a star in India as he flawlessly sings a folk song, the Lollipop Lagelu in Hindi. The Bhojpuri track originally sung by Pawan Singh has found a fan in the Nigerian resident, whose stage name is Samuel Singh. Adepoju has posted his effort on Facebook and within a few days it has generated more than 350,000 views and over 12,000 shares. On You Tube, it is slowly attracting attention, garnering over 12,000 views. On his Facebook Wall, Adepoju also showcases his other Hindi songs, one of them a dancehall version of a song Brown Rang by Honey Singh. India’s HindustanTimes newspaper asked Adepoju where he heard the Lollipop Lagelu song first? “I first heard the song during my college days in Jaipur when I participated in a cultural event. Did the lyrics boggle his brain? “I’m not sure about the meaning of the song but I have heard that it’s usually played in a lot of marriage ceremonies in and around Bihar. Learning the pronunciation wasn’t hard as I know a bit of Hindi and tried to relate it to that,” he told HindustanTimes. Adepoju’s story is inspirational, a departure from the frequent reports about his compatriots being arrested for drug offences or romantic scams. His love for Indian music began after he arrived the country for cancer treatment. “The country (India) is filled with good music from good people. Listening to Indian songs during my treatment, I would find myself at peace — feeling happy and sad at the same time,” he adds.